July, 2011: Dr. Esther Hess interviewed by Dr. Kari Miller on Special Kids School Talk: Find out how to make 'a great date' with your kids with special needs. June, 2011: Dr. Hess interviewed on 'Off the Couch with Dr. Amy', discussing DIR/Floor Time and Center for the Developing Mind. We asked people with autism, and their families, to tell us what autism is -- and what it isn't. Dr. Esther Hess and Center for the Developing Mind are featured in a new video series, "Ask the Developmental Doc". Check out the monthly tips on the developmental concerns of children, adolescents and the families who love them from Kids in the House. 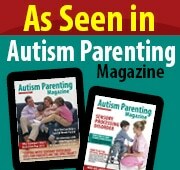 September, 2011: Dr. Esther Hess Provides some valuable tips to help with Special Needs children in the Supermarket. Dr. Esther Hess Provides some valuable tips to help with Special Needs children prepare for Halloween.